Sept. 18, 2009 -- As part of the Dean B. Ellis Library program, "Soul of A People: Voices from the Writers' Project," Dr. Linda Lovell, associate professor of English at Northwest Arkansas Community College, will discuss the Arkan sas Slave Narratives on Sunday, Sept. 20, at 3 p.m. in the Dean B. Ellis Library's third-floor programs/exhibitions area. 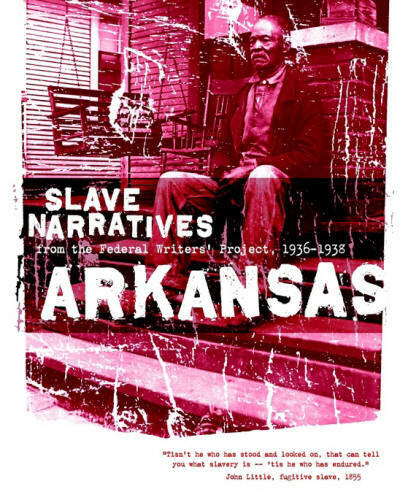 During the 1930s, the Federal Writers’ Project interviewed hundreds of ex-slaves in a project known as the Slave Narratives. These American slave narratives were gathered in 1940-1941--80 years after the outbreak of the Civil War--by interviewers of the Works Progress Administration (WPA), a program of Franklin Roosevelt's New Deal. In Arkansas, the effort was headed by Bernie Babcock, a local author and founder of the museum that would become the Arkansas Museum of Discovery, and administered out of the former WPA's headquarters at the Old State House, which now is home to the Old State House Museum. The Arkansas interviews are particularly noteworthy for their candor, a testament to the ability of the interviewers to put their subjects at ease. As part of Dr. Lovell's lecture, ASU Theatre students Freddie Fulton and Bridget Bolton will do readings from the narratives. The event is free, and the public is invited. Previous events have included lectures by Dr. Michael Dougan, professor emeritus, History; many other ASU professors will be featured lecturers throughout the project. Dr. Cherisse Jones-Branch, History, is the project scholar. For details, call April Sheppard, chair, library programs, at ext. 3077, or view the program schedule through Sunday, Nov. 1. The Dean B. Ellis Library at Arkansas State University is one of 30 libraries nationwide that received a $2,500 grant from the National Endowment for the Humanities (NEH) to present different outreach programs in connection with the upcoming documentary, “Soul of a People: Voices from the Writers’ Project.” The Dean B. Ellis Library is working in collaboration with the Craighead Country Jonesboro Public Library to bring quality humanities and historical programming to as wide an audience as possible. Events at both libraries are free and open to the public.